They call her the Ghost of Dunhill Cemetery, but most people think "the Cemetery Girl" is just a story. In some ways, that's true. Her chosen name is Calexa Rose Dunhill, but she doesn't know her real name. When she first arrived here, all she knew was that someone had tried to murder her, dumped her body, and left her for dead. Calexa has been hiding out, afraid to seek out her true identity in fear that her would-be murderer would find her and finish the job. And someone is searching for her... a man named Salazar, who holds the key that will unlock the secrets of Calexa's past. Calexa has new secrets as well-including the fact that she was murdered... she did die, if only for a moment. And in that moment, something changed inside her. Now, if someone dies near her, their spirit is drawn to Calexa, drawn into her. 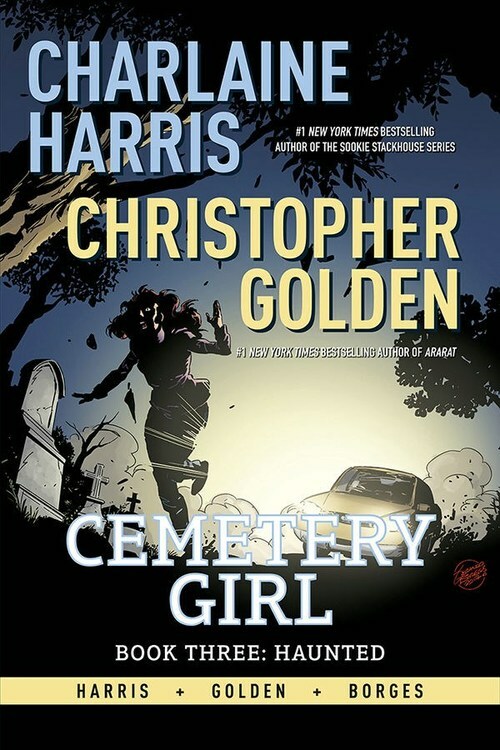 It has happened twice before, but now-as her worst fears come true and there are killers on her trail-the third ghost to take up residence in Calexa's soul will change everything, and bring the Cemetery Girl trilogy to its shocking conclusion!